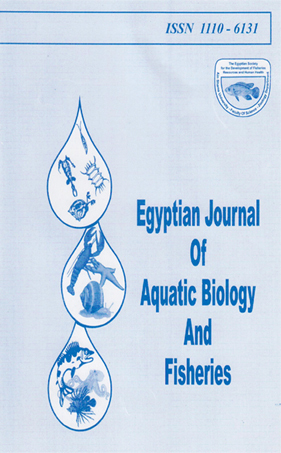 The effect ofUV-C radiation techniqueon survival of Escherichia coli O157:H7 inoculated the freshwater Nile tilapia (Oreochromis niloticus) and marine Japanese threadfin bream (Nemipterus japonicas) fillets were investigated. Tilapia samples (average weight and length are 150 ± 10 g, 15 ± 5 cm, respectively) and threadfin bream (average weight and length are 120 ± 5 g and 15 ± 2 cm, respectively) were purchased from local fish market in 2018 and filleted. The fish fillet samples were inoculated with Escherichia coli O157:H7 strain, and subjected to UV treatment (15 W) at four different distances (12, 24, 30 and 45 cm) from the UV lamps that emitted monochromatic UV irradiation at 253.7 nm. Each UV-C radiation treatment was performed for 5, 10, 15, and 20 min. Results showed that the maximum reduction of E. coli O157:H7 of 1.82 logs CFU/g in threadfin bream samples treated for 20 min treatment at 45 cm. whereas in tilapia samples maximum reduction of E. coli O157:H7 was 1.1 logs CFU/g treated for 15 min at 24 cm. In conclusion, this study recommends that UV-C radiation could be used as a successful technique to improve the safety of fish fillets from fresh water and marine sources.